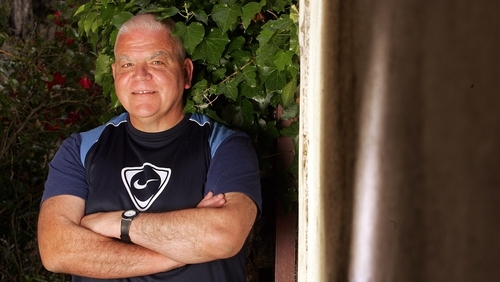 Former manager and well-respected GAA coach John Morrison has died. Morrison was Mayo coach in 2006 alongside manager Mickey Moran as they reached an All-Ireland final against Kerry. Armagh Harps, a club Morrison played for and managed, said they were "shocked and saddened this morning to learn of the sudden passing of John Morrison – a former player, manager, chairman and Hall of Fame inductee. Ar dheis Dé go raibh a anam." Former Armagh footballer Steven McDonnell described Morrison as "an absolute gentleman". He tweeted: "Sad to hear of the death of John Morrison. An absolute gentleman that taught and coached so many players down through the years. He was always thinking ahead with his ideas." Former Mayo star David Brady paid tribute to Morrison and shared an amusing anecdote of a Valentine's Day card from 'SAMantha' that encouraged them to chase their dream of Sam Maguire while Brady's team-mate Conor Mortimer said that Morrison was "way ahead of his time" as a coach. The county boards of Armagh, Mayo, Leitrim and Derry all paid tribute to Morrison.